WordPress powers 28% of all websites on the Internet and yet creating a website with WordPress requires no coding HTML skills. But this is not to say that the process is straight forward. 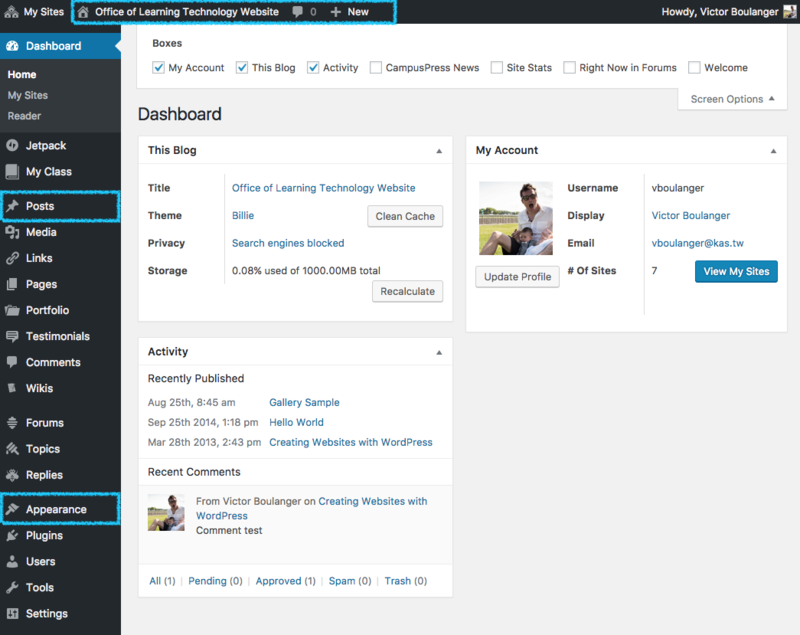 As the Swiss army knife of web design, the WordPress dashboard can be difficult to navigate. It is sometimes easy to get lost in the flurry of options available and miss the big picture. 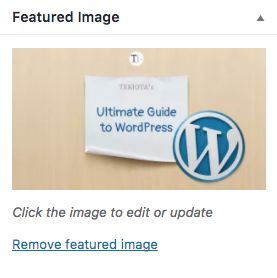 I created this ultimate guide to a WordPress website so you can focus on the basics: write content, format it well, and add pictures into a nice looking gallery. We’ll also look at how to embed content, and add a menu to your site. 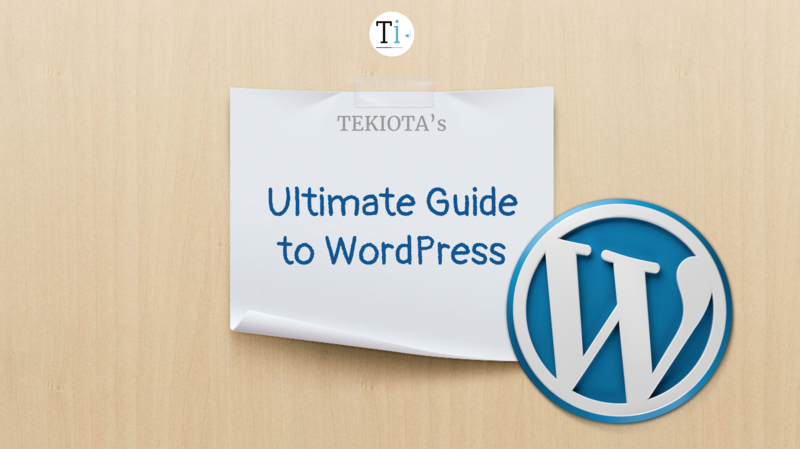 This webpage explains all the basics of a WordPress site so be sure to bookmark it! By the time you are done with this article, you will know all the fundamentals required to manage your WordPress site! This very simple trick will give you a nice view of both sides so you can quickly edit an article and view the changes right away without having to rely on Preview. Pay attention to the menu bar at the top of your screen. Its options are contextual, meaning that they change based on the wider context, e.g. : from your Dashboard, you can easily access the public view of your site, from the public view of a post, you can quickly edit it. This is where you will write all of your content. So make it a habit of going there when you log in. 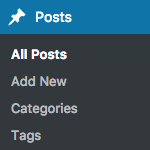 Also under Posts, you can manage your Categories. Think of Categories as the structure of your website. 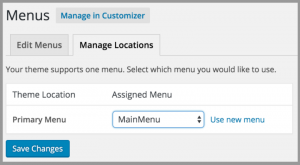 It is with Categories that you will build and efficient navigation menu. So much going on in this little menu. Under Appearance, you will find your themes so modify the look of your entire website, the menu, see below on how to add a navigation system to your site, and your widgets which control the content displayed in your sidebars. Pages You only need a limited number of pages, e.g. : the About Me page, all the rest should be written into posts. Media – You can upload and add photos to your articles with the Media button when writing a post. Links, etc. – Really no need. Another important interface to master is the one you will use to write articles, you will examine this next. The title you write here will become the URL of your article. It will also be featured on the front page of your website as a link. Make sure you pick a clear title which explains very well what people will find when they click on it. The editor is where you will write the content of your article. It is a basic editor but we will see below how you can format your text, add images, and embed elements from other websites. The publish panel on the right side toolbar is very important. First it allows you to save your work in progress which is very important especially if your Internet connection is unreliable. Don’t forget to click on Save Draft from time to time to avoid unpleasant surprises. Second, you can click on Preview to open a separate tab and see a preview of your work. The preview is a mock-up and as such is different than the front end of your website we mentioned above. Third, the Publish button is the final step you will click on when everything is ready to be posted on the web. 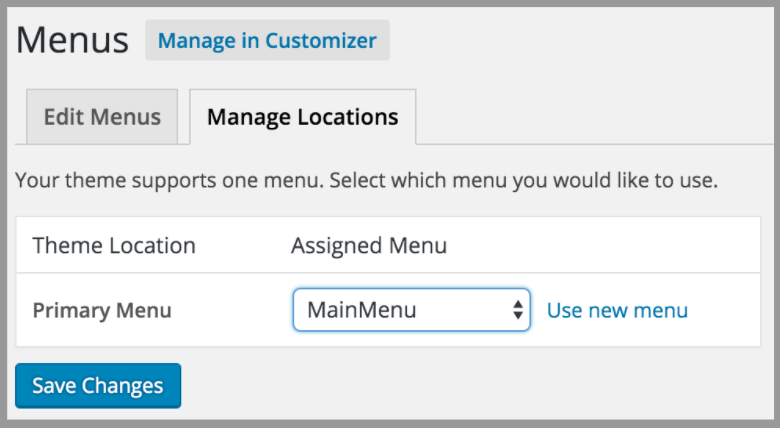 In the Publish panel you will also notice options for Status, Visibility and Publish. These are features which we will explore in a more advanced guide. We will use categories to build a menu for your website (see below) so it is important that you think of categories as the skeleton for your website. 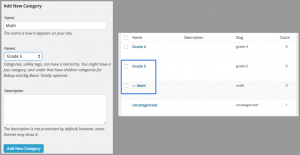 Create categories for each of your site’s main theme, then select the appropriate category for your articles. 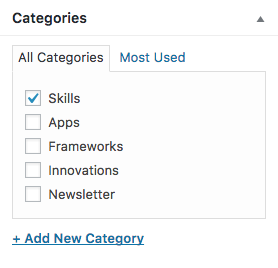 it is best practice to only pick one category per article. 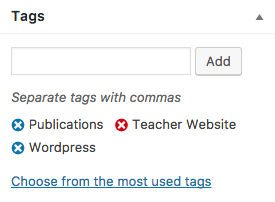 Tags are less important and some websites omit them entirely. They may be useful though if you want to cross-reference your writings. You can select multiple tags for one article. This is a paramount piece of design that many writers forget! You should definitely add a nice featured image to your post. This image will be picked up to become the thumbnail for your article. When your post is listed on your site such as on your home page, visitors will be able to click on the image to access it. Without a featured image, you will be left with just the text description. 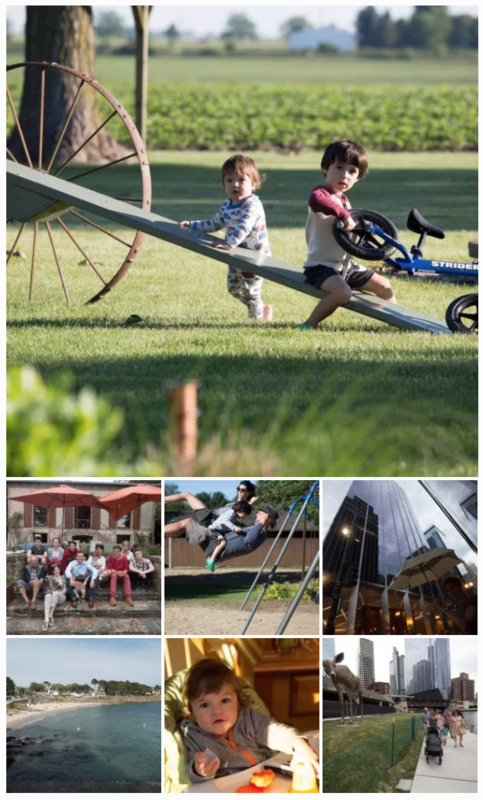 With a featured image, your website will be more welcoming and easier to navigate. 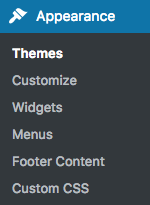 By default the formatting bar of a WordPress post does not let you change the color of the text. In order to change the font color, add a horizontal line, add an indent or decrease an indent, you need to toggle the toolbar by clicking on the second to last icon from the right of the editor toolbar. Another feature which you need to learn how to use is text styles. The original style for your text is paragraph, but when you have section headers, you should click on the dropdown and choose Headings 2 and further. These styles, very similar to the ones you can find in Google Docs, have implications with search engines. For this reason, you should not use Heading 1 which is reserved for the title of the post. Preformatted is typically use to showcase programming code, but you may be able to use it when you want to highlight a step. When you click on the Add Media button above your post editor, you will be able to upload photos to add to your article. 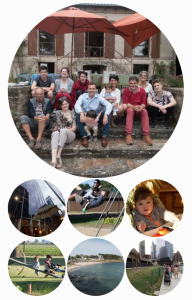 You can add photos one by one, or you can create a gallery with a collection of photos. 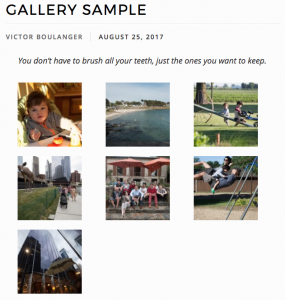 The default gallery in WordPress is quite drab though, with a very simple table layout of photo thumbnails. But if you activate the jetPack plugin, you will be given access to much nicer design including photos in round bubbles, a mosaic of pictures, and when you click on an image, it will pop up in a large format and allow you to navigate back and forth using the arrow keys. Go to WordPress.com and create a free account (you do not need to create a site). Go back to your own website, and under Plugins, install and activate the Jetpack plugin. 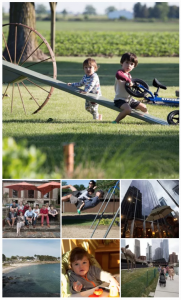 Once Jetpack is connected successfully, click on jetpack > Settings and under Media, enable the option to Display images and galleries in gorgeous, full-screen browsing experience. Write a new post or edit a post you already wrote. Click on Add Media above the post editor. Select or upload your images. For a gallery, the more, the better. 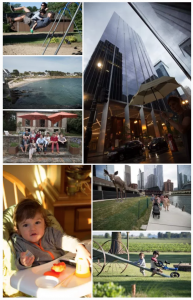 8 or 9 images are a good starting point. 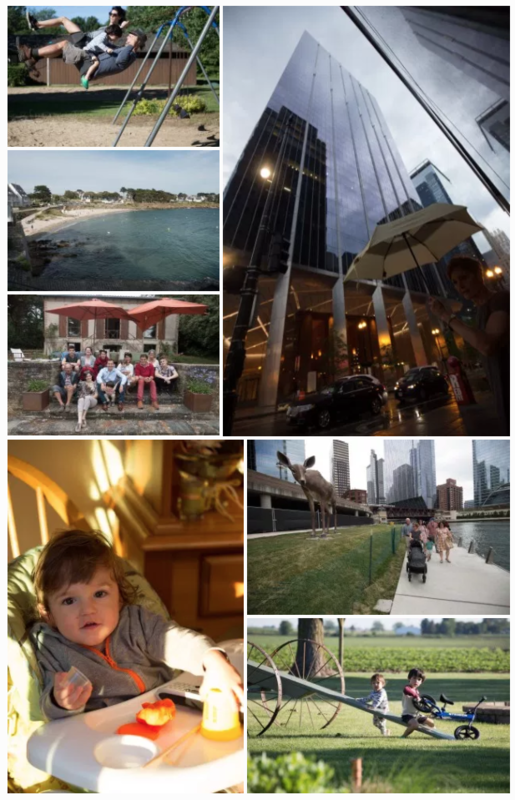 Under Gallery Settings, click on the Type drop-down menu to choose between: thumbnail grid (old boring style), tiled mosaic (my favorite), square tiles, circles, and tiled columns. 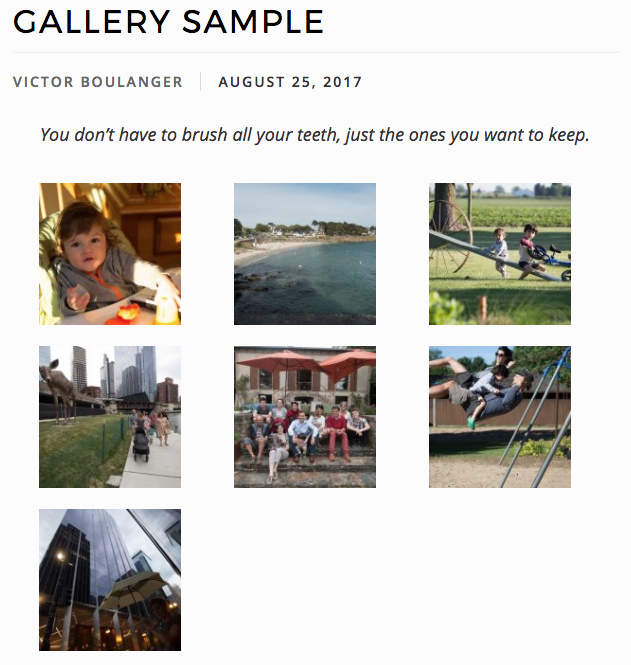 When you add a photo individually or as a gallery, you should select the option Link to Media File. This will create a quick and direct access to the original image. The other option will link to an individual post containing the photo, a rather confusing option in my opinion. Find and copy the embed/share code from the website of origin. The embed code will often have options for width and height which you can play with in order to adjust the size of the content you are adding. When you add category X as a parent of category Y, category Y becomes a sub-category of category X. 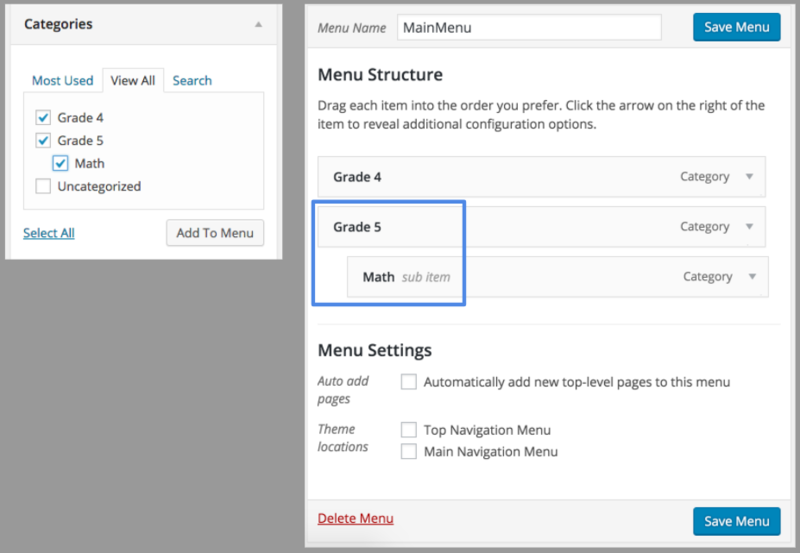 This will turn category X into a drop-down menu and make category Y an item in that drop-down menu. We will detail more advanced practices in another article. Thank you very much Jenny! I hope it will help you when you write content on your website. Don’t hesitate to come back with any question you may have. We’re here for support. Excellent post!! You are an A+ teacher (or should I say “8+” teacher). This post is super relevant to me. My posts need to be beautified. Thank you for taking your time to give the world such organized and easy-to-understand instructions! I was hoping to make this guide as relevant as possible. 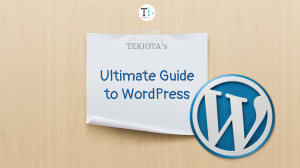 There is so much that can done with WordPress, I wanted to KISS it (Keep It Stupidly Simple). It turned out longer than I expected but I figure it is better to keep everything in one place for easy reference! Let me know if you think anything is missing. P.S. What did you use to create your movie? You have a keen eye Miss! I made this video in a out 30 minutes using Google Slides, Keynote and iMovie. But it doesn’t have to be that complicated. You can quickly make a presentation in Keynote (Mac app), add animations (they have some very cool ones!) and export it as a movie. I then brought the movie into iMovie and added a soundtrack. It was very quick and I quite like the result!